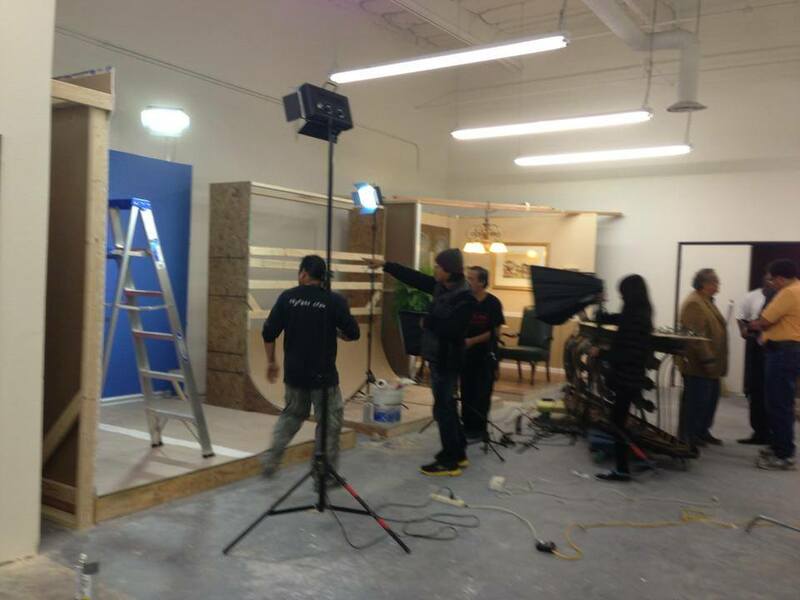 VAsian Studio & Designer David Tupaz Showroom « V ASIAN TV – Vegas Asian TV – The Community Channel for Asian-Americans in Las Vegas. 12/03/13 – Behind the scene filming of Global News Episode 87at their new 4200 sq ft studio of VAsian TV under construction with the building of the Global News and Home SWEET Home sets while Fashion Couture Designer David Tupaz decorates his showroom with exquisite furnitures that will transform the space into a museum of Haute Couture. The fabulous venue will be available for private parties and events that will be revealed at the private party and ribbon cutting ceremony coming in the next following weeks!